Architecture of modern craftsmanship is delivered with this 5-piece patio table set that features clean lines and bold color. 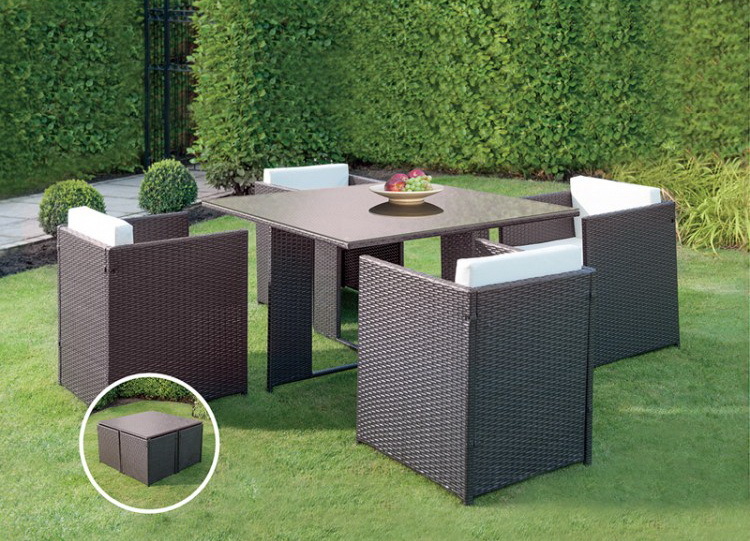 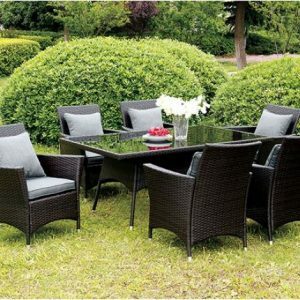 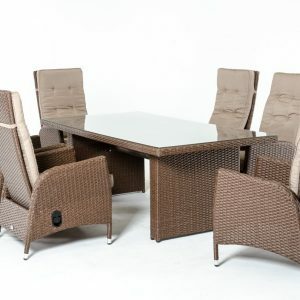 Each seat features a square design of resin wicker with durable seat cushions. 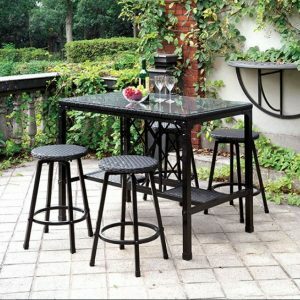 The table features a smooth square top and matching steel frame.